USA | Clarksville Sports Network - Clarksville Tennessee's most trusted source for sports, including Austin Peay State University. 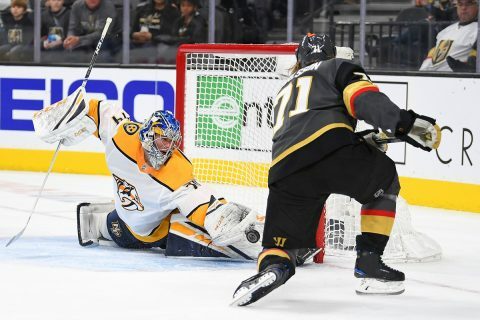 Las Vegas, Nv — The Nashville Predators rolled into Las Vegas tonight and defeated the Golden Knights, 2-1. 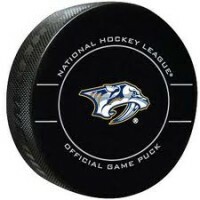 Getting the two points was just what the doctor ordered before the NHL takes it’s annual All-Star break this weekend. Clarksville, TN – The Nashville Predators stormed out to an early 2-0 lead against the Detroit Red Wings tonight, only to have to hang on for a 3-2 win on the road. The win avenges a 3-1 loss this past Saturday night in Nashville to these Red Wings. 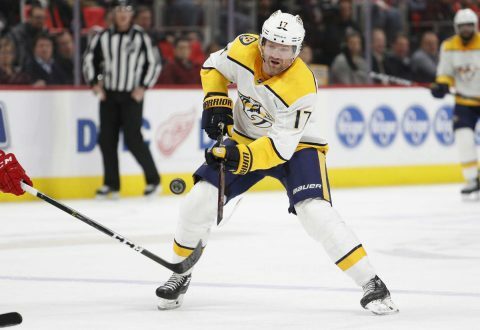 Scott Hartnell got the Predators on the board first at 4:18 of the first period with his tip in at the net of Red Wings goalie Jimmy Howard. 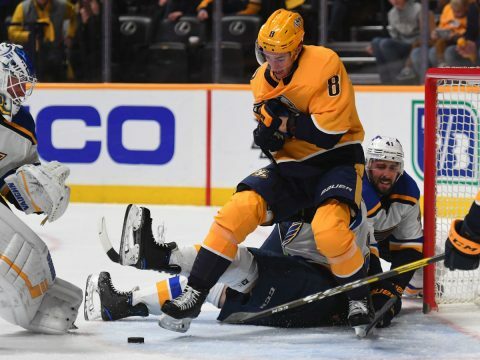 Ryan Ellis and Roman Josi assisted on the goal. 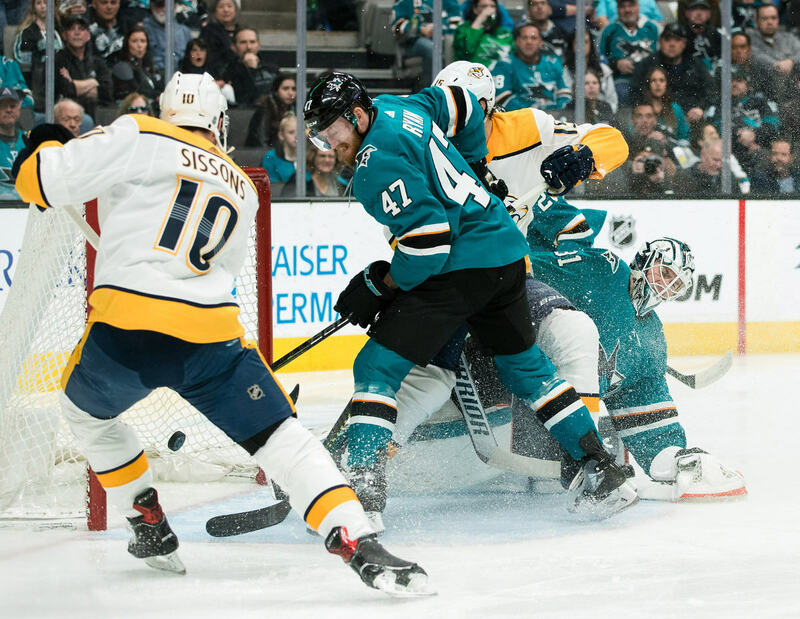 Kyle Turris gave the Predators a 2-0 lead at 9:35 of the first period with his wrist shot, assisted by Josi and Craig Smith. 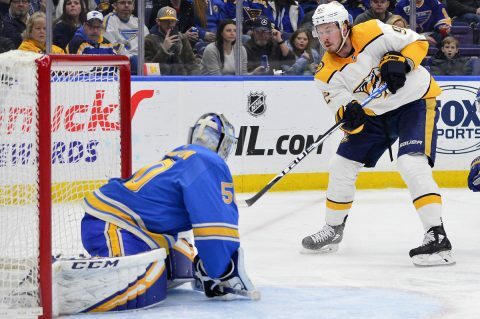 Nashville looked to be off to the races with the early 2-0 lead, but Detroit would come storming back. Moscow – With a 15-8 win over host Russia (8-1) in the gold medal game of the 2014 FIBA 3×3 World Championship on Sunday, the USA women captured a second-straight world championship title with an unblemished 9-0 record. The victory gave Tennessee standout Cierra Burdick her fourth international gold medal with USA Basketball. She previously played for the 2011 U19 World Championship, the 2010 FIBA U17 World Championship and the 2009 FIBA Americas U16 Championship. Moscow, Russia – Tennessee’s Cierra Burdick and her USA teammates will open play Thursday at the 2014 FIBA 3×3 World Basketball Championship in Russia. Burdick (Charlotte, N.C.) and teammates Sara Hammond (Louisville/Mt. Vernon, Ky.), Jewell Loyd (Notre Dame/Lincolnwood, Ill.) and Tiffany Mitchell (South Carolina/Charlotte, N.C.) will face off vs. Hungary in Pool D preliminary round action at 5:40pm Moscow time (9:40am ET). They also are slated to compete in a 7:40pm (11:40am ET) contest vs. Brazil. Clarksville, Tn –Clarksville MMA gym, SSF Submission Academy, is competing in the nationally televised series, Fighters Source World Challenge. The series is aired to 100 million homes in the USA and is used to select TEAM USA that will travel to London, England to fight the best of 12 teams from around the world; tentatively scheduled for November 2014. Knoxville, TN – Four former Tennessee All-Americans are among a 33-player pool being considered for the 2014-16 USA Basketball Women’s National Team. The list of former Lady Vols, all of whom are current WNBA standouts, includes Candace Parker, Tamika Catchings, Kara Lawson and Glory Johnson. The 2014 USA World Championship Team and, if the U.S. qualifies, the 2016 U.S. Olympic Team will be selected from that group. The USA National Team pool will be fluid, and athletes may be added at any time by the USA Basketball Women’s National Team Player Selection Committee. Knoxville, TN – Candace Parker was on hand when Pat Summitt’s banner was raised to the Thompson-Boling Arena rafters on Jan. 28, 2013. The former Lady Vol All-American and reigning WNBA Most Valuable Player will be back at Rocky Top Thursday night to receive her own distinction, as her jersey is retired prior to #5/5 Tennessee’s SEC opener vs. #16/16 LSU. Tip-off is slated for 7 p.m. on CSS, but a pregame ceremony honoring Parker will take place promptly at 6:45 p.m. Gates open at 5:30 p.m., and the first 2,500 fans will receive a life-size Candace Parker poster.